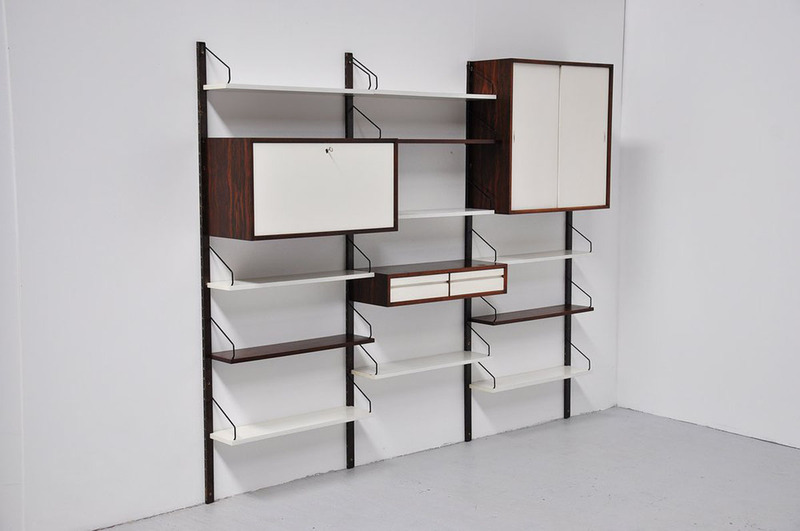 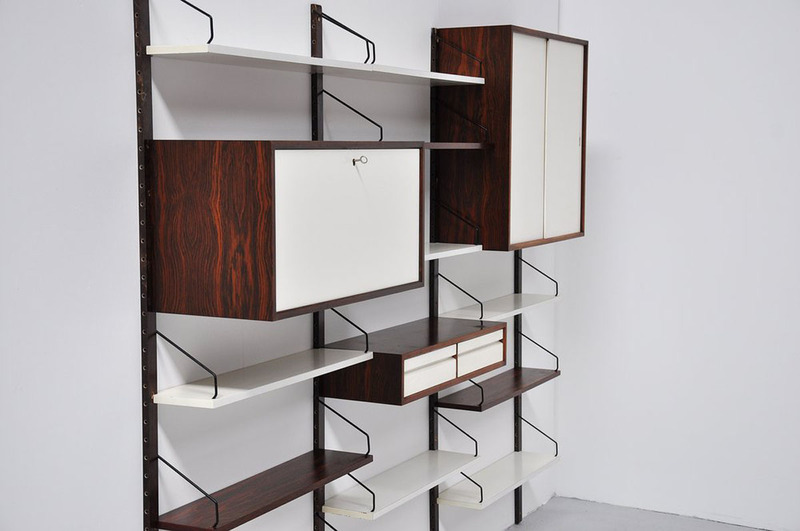 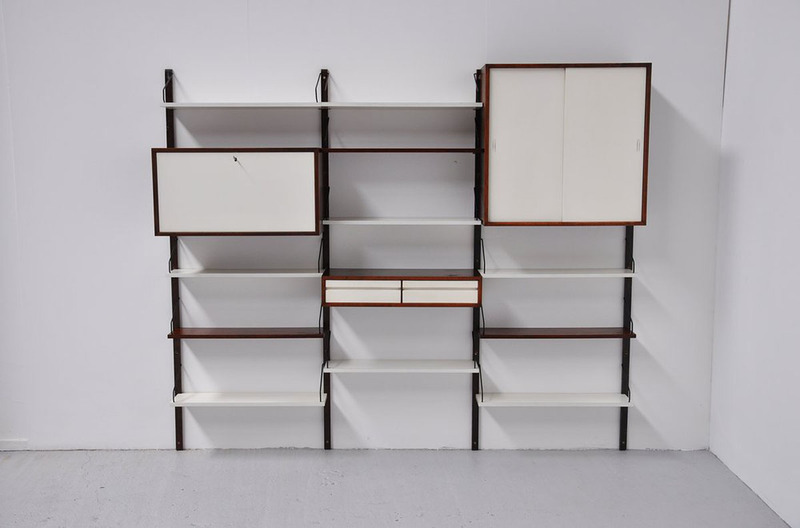 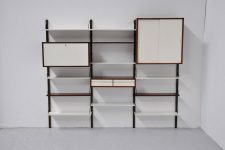 High quality danish modern wall unit designed by Paul Cadovius for Royal system. This very nice white lacquered wood and rosewood shelves / units. 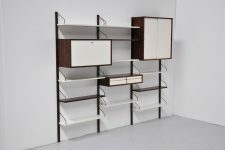 Very complete system in very good condition. 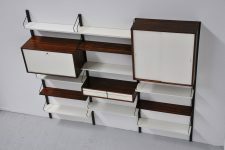 With multiple shelves and units.